SLES loves it when alumni come back to the hilltop campus for a visit. This summer, Susannah Wright (Class of 2010) returned to St. Luke’s to see her beloved school and to share her educational journey. “From my many years at St. Luke’s, I learned lessons that have proven indispensable in every subsequent phase of my life,” she saidI learned to cling to my moral compass because every action I take is a reflection of me and my values. Through Ms. Berdecio’s daily reminders to ‘make it a great day—the choice is yours,’ I learned that, no matter what events may swirl around me, I am the only one responsible for how I choose to respond. Additionally, St. Luke’s instilled in me a love for the pursuit of knowledge and a dedication to lifelong learning that is fundamental to the way I approach each day and opportunity.” Wright graduated from Rice University in 2018, and she will attend Harvard University in the fall to begin the PhD program in classical philology (Latin and Greek literature). Wright fondly remembers her study of Greek mythology in the 3rd grade and her study of Latin at St. Luke’s. SLES is proud of all of their alumni who continue to excel and pursue their dreams. The Alamo Heights School Foundation’s Greater Heights Night takes place Wednesday, Nov 14 at 6:00pm at the Mays Family Center at the Witte Museum. Greater Heights Night started in 2011 and has rapidly evolved into a premiere community gathering that allows the Alamo Heights School Foundation to signifigantly contribute to the district year after year. Last year’s event chair Becky Gulley and co-chair Meredith Brewer led a volunteer committee of 28 parents to create an unforgettable evening titled “Investing in the Future of Our Children.” More that 675 guests attended and they raised more than $462,000 to enhance educational resources for teachers and students. AHISD is set to host a huge “Howdy!” An annual tradition at Alamo Heights ISD, it symbolizes the start of a new school year and kicks off the much-loved Homecoming celebration. From the first “Howdy” of the Howdy Parade and Howdy Night Carnival to the pep rally and bonfire, the celebration continues with the football game and homecoming dance. Current and former Mules love the tradition of a Mule homecoming. Get your blue and gold on and throw your #MulesUp! Homecoming Week starts September 22! As our Mules showcase their talents on the field, our fans will have an opportunity to secure seats for a season of support! 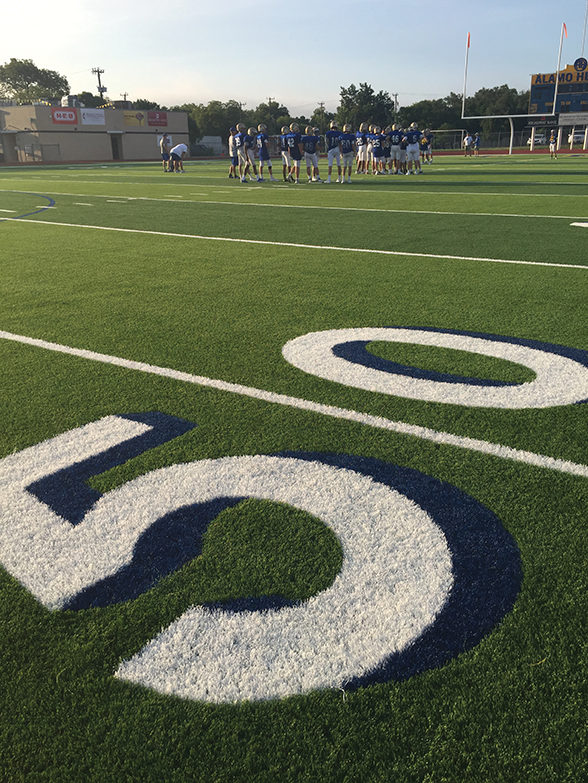 AHISD will be offering an all-sports pass for adults and students. The all-sports pass is good for all AHISD home games at both the high school and junior school, with the exception of tournaments, playoff games and varsity football games. The all-sports passes will also be available for purchase in the athletic office during regular office hours. The all-sports passes offer an option for fans to attend multiple sporting events at an annual cost savings. These passes will be available for $75/adults and $40/students. With new district alignments, and in coordination with UIL regulations, all patrons and students will need to pay admission to attend all games, home and away. Individual tickets will still be sold at each game – district admission prices for each of the UIL districts are posted on the district athletic website. Alamo Heights ISD is pleased to be a part of the National School Breakfast & Lunch Programs once again. As a part of the programs, AHISD is able to offer nutritious and delicious meals to all enrolled students. All students are entitled to eat breakfast and lunch every school day in their school café. Pricing information is available on the AHISD Child Nutrition website at www.ahisd.net/departments/nutrition/nutrition.html. You will also be able to link to the online Free and Reduced application process, which may provide your student with a free or reduced-price meal program depending on income qualifications. Paper applications are also available in Spanish and English for download, or can be picked up in the front office of your school. Jeff Wheatcraft, an eighth grade science teacher and STEM coordinator at Alamo Heights Junior School in Alamo Heights ISD, has been named one of six finalists for 2019 Texas Teacher of the Year, according to the Texas Association of School Administrators (TASA), which facilitates the awards program. 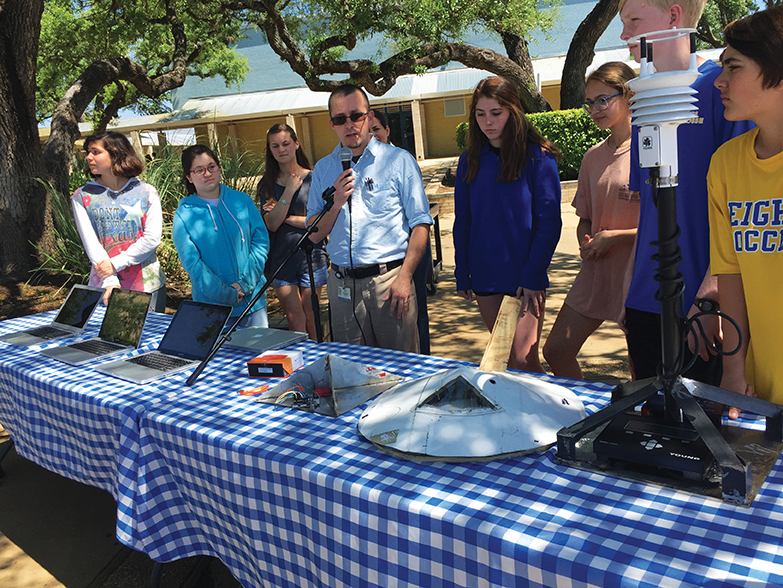 A teacher for the past 12 years, he created the STEM program at Alamo Heights Junior School, where he has taught since 2012. Wheatcraft is also the 2018 recipient of the Trinity Prize for Excellence in Teaching and has twice been nominated for the Presidential Award for Excellence in Math and Science Teaching. As Region 20 Secondary Teacher of the Year this year, Wheatcraft was among 40 outstanding Texas educators eligible for consideration for Texas Teacher of the Year. Earlier this month, a panel of judges composed of representatives of Texas teacher associations and the 2018 Texas Teacher of the Year finalists chose him and five other Regional Teachers of the Year — three elementary and three secondary — as finalists. In September, Wheatcraft and the other finalists will be invited to Austin for interviews before a panel of judges composed of representatives of educational leadership associations, community and business leaders, a member of the State Board for Educator Certification, a member of the State Board of Education, and prior Texas Teachers of the Year. The panel will select two state-level winners — Elementary Teacher of the Year and Secondary Teacher of the Year — and designate one to represent Texas in the National Teacher of the Year program. The winners will be announced at an awards ceremony Sept. 14 at the Bullock Texas State History Museum in Austin. The Texas Teacher of the Year program has honored excellence in classroom education since 1969. The program, facilitated by TASA since 2011, annually recognizes and rewards teachers who have demonstrated outstanding leadership and excellence in teaching. In 2015, Texas Teacher of the Year Shanna Peeples of Amarillo ISD became the second Texas teacher to be named the National Teacher of the Year. TASA is the professional association for Texas school administrators, providing professional learning and networking opportunities, legislative advocacy, and targeted communications to support the work of superintendents and other school leaders. TASA’s mission is to promote, provide and develop leaders who create and sustain student-centered schools and develop future-ready students. Three Saint Mary’s Hall track & field Barons received historic nominations to the 2018 Great American Track & Field Classic. These student-athletes included senior standouts Natalie Scheifele (javelin, shot put and discus) and Emily Wilson (javelin), as well as sophomore sensation Dane Huggins (triple jump). The GATFC is an elite, “by-invitation-only,” high school event for outstanding track & field athletes and is officially sanctioned by U.S.A. Track & Field. 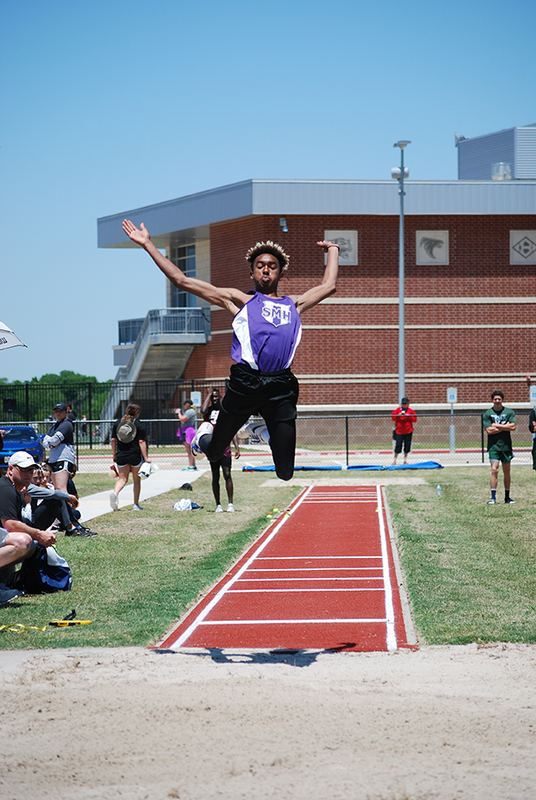 Held June 7-9 in Lancaster, Texas, the Barons competed against the nation’s best at the meet. Emily Wilson (class of 2018), who won the gold in javelin, will attend Princeton University this fall and will compete at the collegiate level. Dane Huggins captured silver in the triple jump and has shown he has what it takes to earn some major accolades during his junior year at SMH. He’s sure to become a top contender. 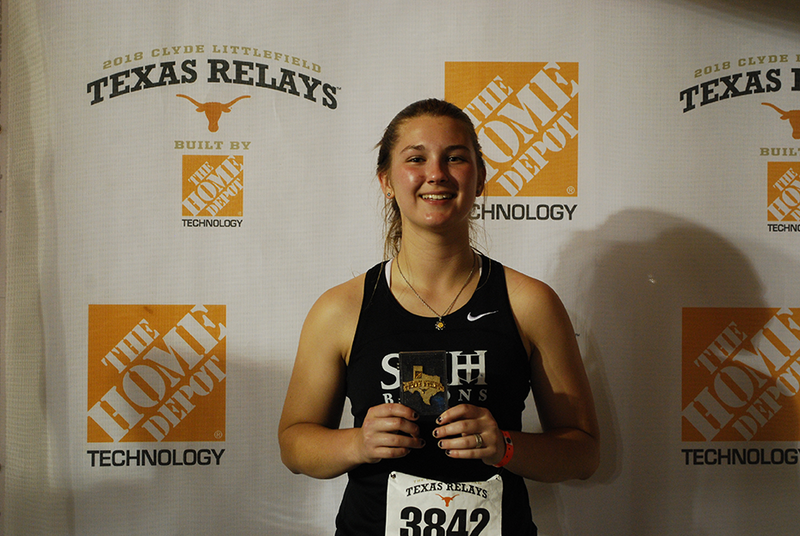 Although Natalie Scheifele (Class of 2018) did not compete at the GATFC, she was recently named to the San Antonio Express-News All-Area Track and Field team. Natalie will attend Texas A&M University in the fall and compete collegiately as part of its track & field program. Athletics plays a vital role in the development of SMH students with more than 80 percent of upper and middle School students playing at least one of the 14 sports offered. To learn more about the robust and completive athletic opportunitiesat SMH, visit www.smhall.org.